3 years & up. 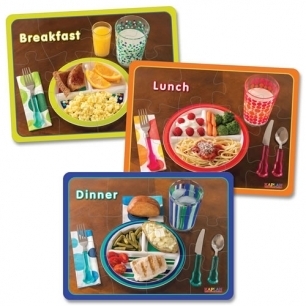 Encourage healthy eating and promote nutritional awareness with this set of three 12-piece puzzles. Puzzles measure 9" x 12" each.